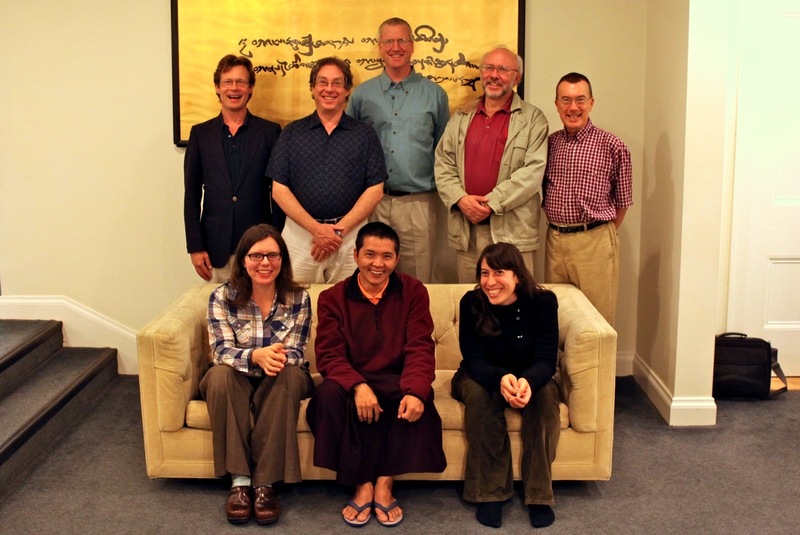 Lama Tenzin with Nalanda Translation Committee, September 2010. Last November (2009), many sangha members in Halifax received the Wrathful Gesar empowerment from His Eminence Namkha Drimed Rinpoche. In addition to the short daily practice that we made available at that time, this year we completed draft translations of over 350 Tibetan pages from his terma cycle, including a longer sadhana, a fire offering, and other supporting texts, all at the request of Sakyong Mipham Rinpoche. This September we began to review our translation and learn the practice and ritual details from Lama Tenzin, a senior chöpön of Namkha Drimed Rinpoche. Eventually the Sakyong plans to introduce a complete Gesar drupchen, or group practice intensive, as part of our end-of-year dön season practices. This includes a peaceful Gesar guru yoga and Dorje Tsegyal sadhana by the great Jamgön Mipham Gyatso. The Sakyong Wangmo Khandro Tseyang, Dechen Chöying Sangmo. 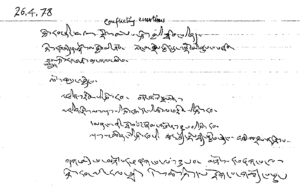 We also prepared a draft of all the Dechen Rolmo Lingdro songs by Jamgön MiphamGyatso and are awaiting an opportunity to review the translation with a knowledgeable lama. The first of these was performed as a dance offering by Sakyong Wangmo Khandro Tseyang and a group of sangha members she trained for the Tenshuk ceremony last November. 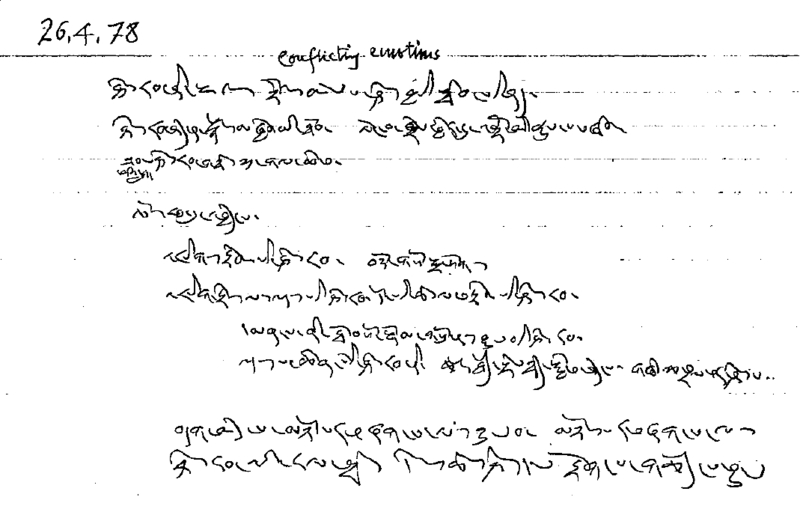 The Vidyadhara’s notecard for: Talk 18, “Prajna,” April 26, 1978. In preparation for the upcoming 25th anniversary of the Vidyadhara Chögyam Trungpa Rinpoche’s parinirvana, Shambhala Publications will be publishing three volumes of his teachings from all the three-yana Vajradhatu Seminaries. We reviewed a draft of the mahayana volume this year, especially with reference to various technical details of dharma. 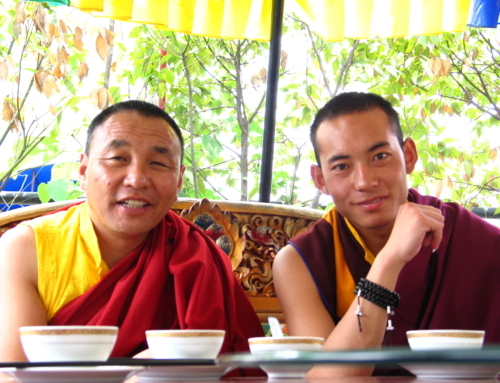 With Surmang Khenpo we translated all of the Vidyadhara’s notecards for his vajrayana talks, and we are completing translations of all the others. This will help editors Judy Lief, Ellen Kearney, and Carolyn Gimian in their work, and also be published on a companion DVD that will include facsimiles of the original note cards, printed Tibetan, and English translations. We were again delighted to work intensively with Changling Rinpoche of Shechen Monastery, who returned to complete his teaching of Khenpo Gangshar’s Naturally Liberating Whatever You Meet. We reviewed several translations included in our Daily Chant Book, as well as some of our questions on the Dorje Tsegyal sadhana (peaceful form of Gesar) written by Jamgön Mipham Gyatso. Changling Rinpoche translating with Mark and Scott (2010). This year we published transcripts from Changling Rinpoche’s 2009 teachings and are already working on the transcripts of his 2010 teachings at Dorje Denma Ling. 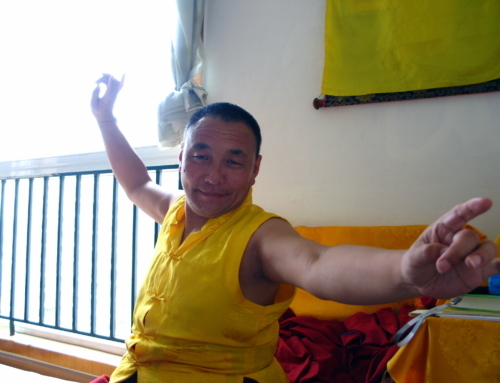 In Halifax, Changling Rinpoche began teaching the view of “crazy wisdom” and Dorje Trolö, in preparation for teaching the Sadhana of Mahamudra next year. We are also transcribing those teachings and hope to review and annotate our literal translation of this sadhana with him, so it will become a more useful study guide for the sadhana. It had been some years since we had taken some time for envisioning the future and reflecting on our past. We initiated an annual three-day group retreat, held after Shambhala Day, where Committee members practiced together and discussed our overall vision, group dynamic, and how better to serve our community. One of the insights that came out of our retreat was our desire to create a venue for sharing our experience more. This led to our hosting the first Translators’ Tea in May, an informal gathering open to the entire community. We performed a lhasang, had tea and snacks, and then discussed—through lively questions and answers—the lhasang, the translation process, and any questions that were on people’s minds. We will host our next tea this November. Listen to them here. Translators’ Tea Lhasang, Halifax, May 2010. 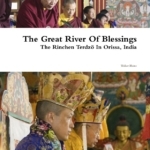 In honor of the hundred-year anniversary celebration of His Holiness Dilgo Khyentse Rinpoche, we republished in booklet form his own “Life Drop of Blessings” guru yoga, and presented this to Yangsi Khyentse Rinpoche on his first tour of North America. Sherab Chödzin requested a guru yoga for His Holiness when he met him for the first time in France years ago, and this is the text he gave him, writing a special verse at the end for him. This text is now available to all tantrikas in a new edition, complete with practice commentary. For the Söpa Chöling three-year retreat at Gampo Abbey, we updated the Jinasagara (red Avalokiteshvara) and Mahakala practice manuals. Currently we are working on revising and refining the Vidyadhara’s The Golden Dot: The Epic of the Lha. We will republish this in an elegant format similar to his Shambhala terma texts. Also, in the near future we will republish Jamgön Kongtrül Lodrö Tayé’sfinal chapter of The Torch of True Meaning on mahamudra practice, which is used at vajrayana seminaries in connection with recognizing the nature of mind. You may be pleasantly surprised to see that our website now has some improved functions and a whole new look. We will continue to improve and expand the website over the coming year. Please note that there is a special Errata section within our list of publications. This includes some important amendments to existing texts, many of which were posted over the last year, especially amendments to the Vajrayogini Manual, Vajrakilaya texts, and The Sadhana of Mahamudra funeral liturgy. Larry led a Chakrasamvara retreat at Sky Lake. He also conducted the gate-opening ceremony at Söpa Chöling this summer for the completion of groups E and F of the three-year retreat. Scott Wellenbach teaching with Dzogchen Ponlop Rinpoche at Nitartha Institute. Scott taught a weekend program in Toronto on the Vidyadhara’s Avalokiteshvara Sadhana, which the Shambhala sangha received from Karma Senge Rinpoche. Over the holidays, he again led a week-long mahamudra program in Halifax. In March, he taught a weekend program on lujong and valid cognition in Bellingham, Washington. In May, at the suggestion of Dzogchen Ponlop Rinpoche, Scott attended an organizing conference in Bangkok for the Common Buddhist Text project, an endeavor to create a common set of classical scriptures representing the Theravada, mahayana, and vajrayana traditions for worldwide distribution. Under the auspices of the United Nations, the project is supervised by MCU, a Buddhist university outside of Bangkok, and awaits funding approval by the Royal Thai government. 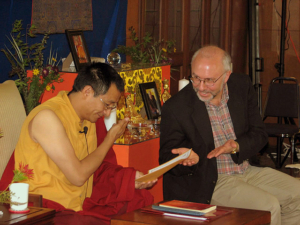 This summer, Scott prepared an edition of our translation of Jamgön Mipham Gyatso’sLion’s Roar of Emptiness of Other, a long-term project of the Translation Committee, for a course taught by Ponlop Rinpoche at Nitartha Institute’s summer program. Scott also taught valid cognition and the modes of engagement of mind at the program. 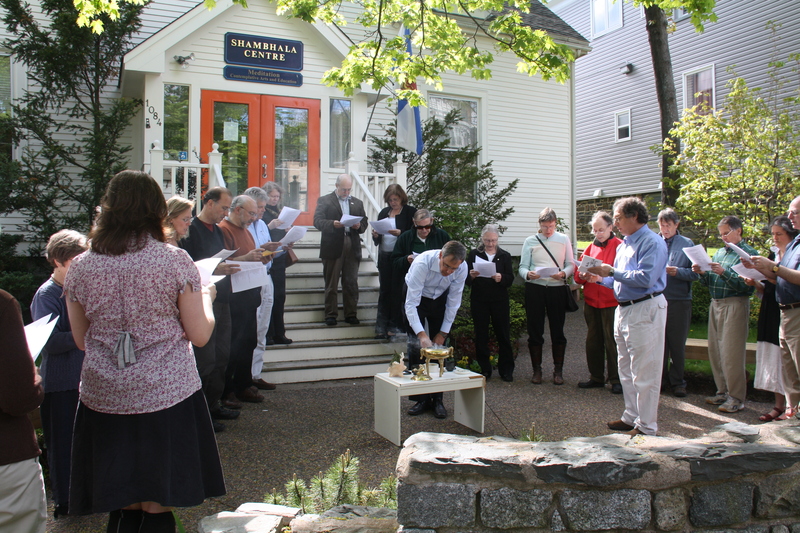 He continues to be involved with a weekly class in Halifax that focuses on contemplative practice and is leading a group of aspiring junior translators—both young and not-so-young—working on the Vidyadhara’s writings and terma from Tibet. Mark continues to lead Vajrayogini fire offerings at Dorje Denma Ling, particularly weekend ones focusing on magnetizing and enriching. He has also been giving dharma talks in Washington, DC, when he visits his family there. 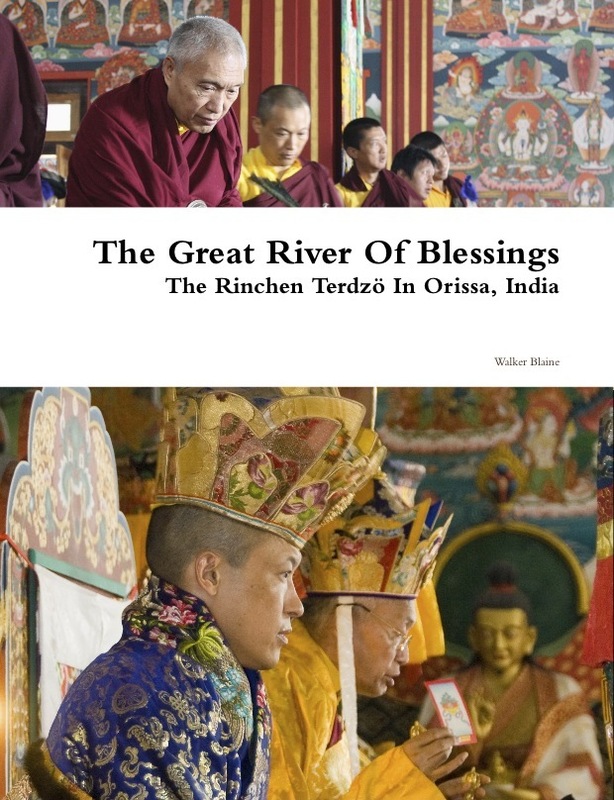 Walker spent the winter editing his book, The Great River Of Blessings—The Rinchen Terdzö in Orissa, India. The book is available for free download at: www.sakyongfoundation.org/projects/chandragiri. 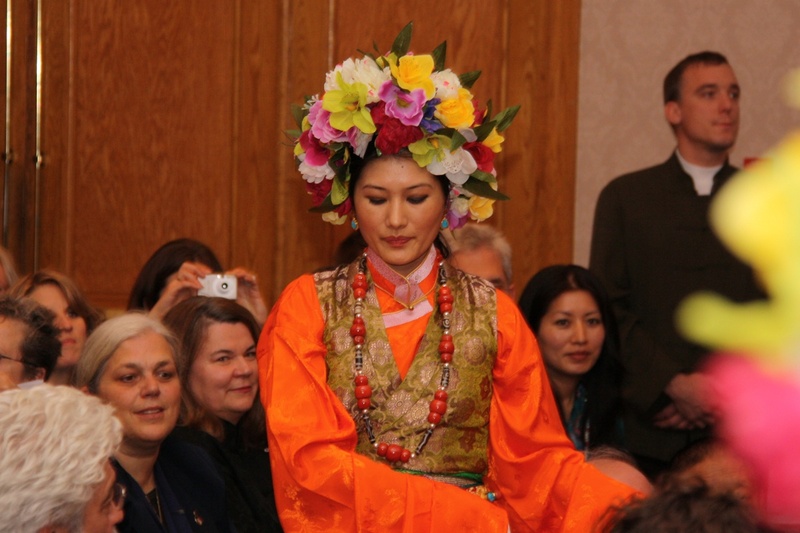 In the spring, he also led a Vajrayogini four-karmas fire offering at Dorje Denma Ling. Tingdzin taught the practices of Jinasagara and Mahakala Pernakchen at Söpa Chöling to the three-year retreatants of Groups E and F.
Patricia has been teaching the Tibetan of the Lightning of Blessings and the Werma Sadhana to a small group of dedicated students in Halifax. 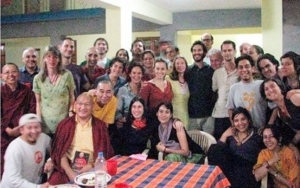 Khenpo Gyurme with Jessie Litven and participants at Tergar Institute, Bodhgaya, India. 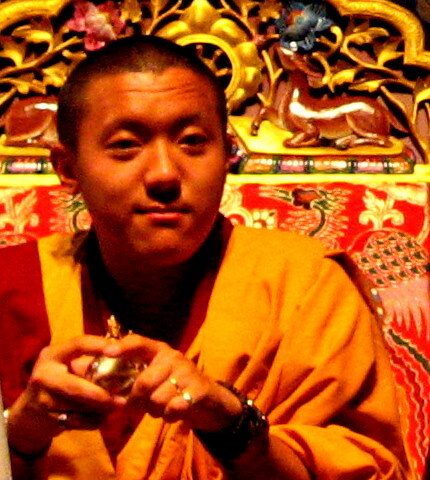 Jessie translated once again for Mingyur Rinpoche’s Khenpo Gyurmé at the Tergar Institute in Bodhgaya.